I mean, are these companies getting the most value out of the web copywriting? Or are they congratulating themselves on sounding clever and eloquent in one case, and celebrating the super-cheap copy they got by just doing what someone else did? I’m guessing that they don’t get a lot of success in either case. You’re probably not engaging in this sort of self-aggrandisement or theft of content. 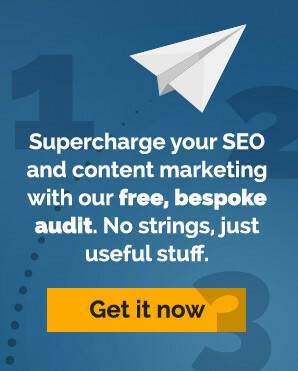 But, I bet you sometimes wonder if you are getting the most you can out of your web copywriting. How much would you pay someone to read the page and do exactly what you asked them to do? Typically, this is a sale, so most respond by a Cost-Per-Acquisition number. Once I have this value, I ask how much they would pay for 10 people to do the same thing. Then 100 people. Then 1000 people. Is your web copy worth that? You could, of course, just rip off someone else’s hard work. It’s easy. But it’s not a strategy. When you take the time and the financial investment in producing your own words that sell, you are doing your marketing and sales a world of good. Typically, when I’m writing web copy for a client, I will ask questions of the sales cycle, key customer concerns and I ask about any doubts they may have in purchasing. Sometimes when I ask these questions, there aren’t any answers, or at least, not any answers that are easy to find. And it is this process that helps sales and marketing teams. We often find that being an ‘outsider’ questioning parts of the business in order to explain to customers exactly what they need to know ends up assisting the business in re-jigging their processes, making them better. I’m not just saying this because I’m good at it (although I am proud of my record in helping with all aspects of marketing). I’m saying this because any good web copywriter will ask these questions and any copywriter worth the investment will help you get the most out of your copy.